As part of our mission to bring confidence to every marketer in the world, we’re excited to announce new developments within the Allocadia Partner Network - an exclusive referral program for qualified marketing technology vendors, service providers, and consultants that helps strengthen customer loyalty while adding a valuable revenue stream. Allocadia partners have long been a key part of our growth as over 150 of the world’s best Marketing teams now rely on our award-winning platform. Inspired by our partners’ enthusiasm, and the value they provide to our client base, we’re committed to enabling this critical component of our ecosystem. Certified members of our partner network receive a variety of resources including co-marketing support, training, and the guidance they need to introduce Allocadia to appropriate client organizations. The Pedowitz Group (TPG) helps organizations plan, build and optimize their revenue engine by delivering services that help drive marketing effectiveness, increase productivity with MarTech, and engage more customers with multi-channel campaigns. QuintoVate is a management consulting firm with broad experience in Marketing Operations and a singular focus on Marketing Performance. This firm strengthens the role of marketing by creating alignment and improving communication between Marketing, Finance, and IT. Allocadia is a proud partner of IBM Watson Marketing. The IBM Watson Campaign Automation Planning and Budgeting tool powered by Allocadia offers powerful budgeting, planning and analytics that connect to Marketing, CRM and Finance systems to help organizations plan strategically, invest wisely, and achieve greater impact. Covalent Marketing offers services that evolve the way their clients manage and deliver personalized customer interactions to achieve business goals. Their services span consulting, technology solutions, and managed services. Workfront offers powerful SaaS project management software allowing organizations to manage all their work in one place. The Allocadia / Workfront integration empowers teams to be more productive and streamline cross-functional collaboration. CRM Technologies is a leading marketing operations agency that helps today’s marketers transform their organisations using data, insights and technology to improve demand generation, customer engagement and performance. Crimson Marketing is a blend of a marketing agency and system integrator, helping organizations improve marketing performance in digital marketing, demand generation, and marketing technology. Bluprint is a marketing and advertising technology consultancy and service provider leveraging their technical and multilingual skills to serve global organizations. Our expanded ecosystem includes a wide range of technologies representing many functions with an organization. Learn more about our integration partners here. 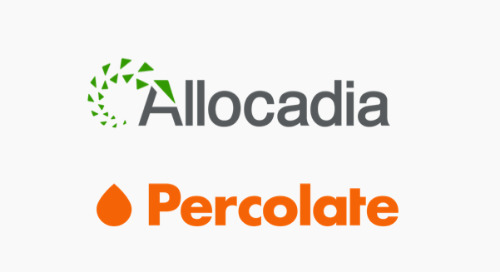 The Allocadia Referral Partner Program is open to organizations interested in realizing the promises of Marketing Performance Management with their clients, many of whom are enterprise and mid-sized organizations. If you’re interested in joining us, send us a note. Sign up here to get all the latest Allocadia company news via email!